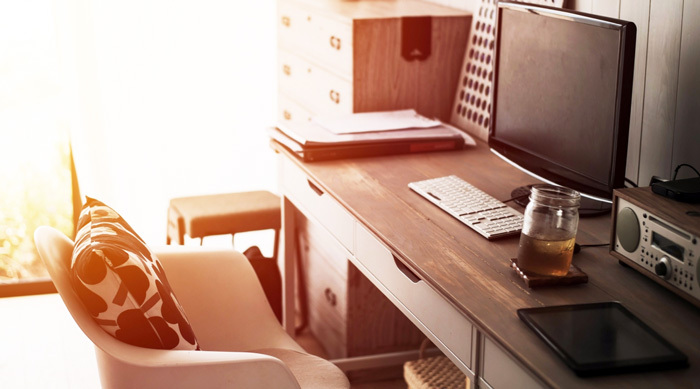 Many business owners enjoy working from home, but there’s a challenge that automatically comes with it. There are certainly many perks, like being in charge of your own time, dressing however you want and being able to take care of personal tasks even as you manage your business. But while all this is enjoyable, there’s undoubtedly a wide range of distractions at home that can keep you from being as productive as you want to be – and in business, being unproductive is a huge setback. Define your workspace. When you’re in an office, you know instinctively that it’s a place of business, and that the entire area is designed specifically for the purpose of working. You need to designate a place at home for this same purpose – a space that will give you the maximum focus for managing your company. It doesn’t have to be an elaborate office, but it should at least be conducive for work. Have a desk and a comfortable chair, at least. While a chair isn’t as comfy as your couch (or God forbid, your bed), it’s a much better place to stay focused. It also helps you stay organized if you have specific spaces for paperwork, devices, and other materials only related to business. Work according to a schedule. Because you make the rules, this doesn’t have to be a 9-to-5 thing. But to stay on track, you should at least come up with a daily plan of action and stick to it. Setting deadlines and clear goals will help you stay productive through distractions, and teaches you to prioritize important tasks so they don’t overwhelm you. Allow yourself to take breaks. You’re passionate for growing your business, and that’s great. But you might end up exhausting yourself – so prevent burnout by taking breaks throughout the day. Remember to do things you enjoy, and keep yourself healthy. Your mind and body – and your business – will surely thank you. Get the right gear. Every job requires tools, and these are usually specific to your business. You know better than anyone what gear you should always have on hand – be it a laptop, office supplies, or even equipment and machinery. Make sure they’re close by so you don’t have to leave the room often, and make sure you always have an ample supply – that way, you won’t have to worry about skipping work to buy materials ever again. For more business tips and exclusive invites to Globe myBusiness events, visit their website https://mybusiness.globe.com.ph/ and sign-up to Globe myBizKit.